Strict and specific guidelines will be given to you by the SPCA representatives during the information session to ensure that volunteers can do so safely and humane. Since March 2018, the City of Sainte-Anne-de-Bellevue has joined the TNRM program (Trap-Neuter-Release-and-Maintain) of the SPCA. 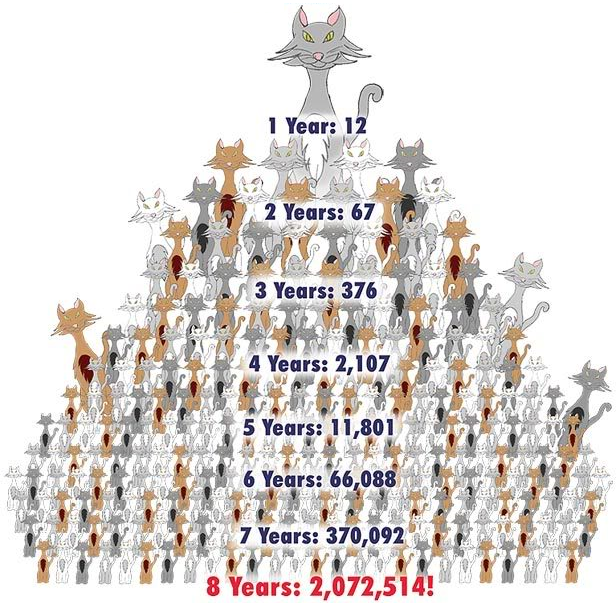 In 2010, Montreal’s SPCA implemented a sterilization program for feral cats called TNRM, short for Trap-Neuter-Release-and-Maintain. Feral cats are un-owned domestic cats who have returned to a semi-wild state and cannot be handled nor be adopted into homes. They often live in small or large groups, known as colonies. The TNRM program also ensures the continuity of care for these cats (food, drinking water, outside shelter during winter) and offers guidance and information to the citizens to maintain the cats’ well-being. Trapping of feral cats is from August to November each year. Help us by purchasing a medal for your domestic cats. Have you seen cats with an ear like this? These cats have been ear-tipped or ‘notched’. This is a surgical alteration showing that a free-living cat has been spayed/neutered. It’s part of the program ‘TNRM, which means Trap, Neuter, Release, Maintain. These cats should never be re-trapped or brought to a shelter, unless sick or injured. Instead, they should be left in their neighborhood to provide cat population control. Studies have shown by just being there, they prevent other cats from moving into the area. And, because they have been fixed, they will never have litters of kittens. Cats who have been ear-tipped or ‘notched’ have a very distinctive cut that is even, whereas naturally occurring frostbite would be unlikely to result in perfectly even cuts in either of the shapes. Even if you don’t like cats, TNRM ear-tipped cats have an important job to do in keeping your neighborhood a nice place to live.